Riedel: The World's Finest Glasses, Or A Scam? riedel: the world's finest stemware, or a scam? Riedel is well-known to wine connoisseurs around the globe as the foremost manufacturer of quality stemware. 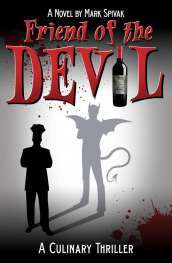 They have many detailed theories about how the shape of a glass changes the perception and actual taste of the wine. Their product line is elaborate, and some of their glasses sell for more than $150 per stem. For decades, I’ve been an official skeptic of their theories and critical of their glassware. This hasn’t prevented them from establishing themselves in the minds of many collectors as the purveyors of the ultimate wine glass. I’m going to examine some of their claims and present an alternative view. 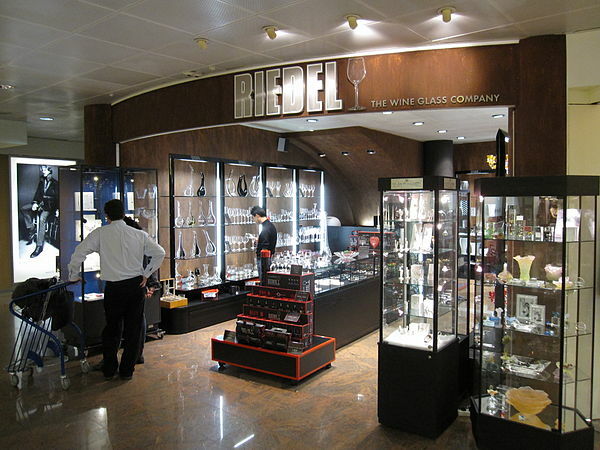 Riedel is an Austrian glass company that was established in Bohemia in 1756. The operation is currently run by Georg and Maximilian Riedel, the 10th and 11th generations of the family respectively. Over the years their selection has expanded to include hundreds of different varietal shapes, as well as glasses for spirits and non-alcoholic beverages (more on this later). Riedel promises to sell you the optimum glass for red and white Bordeaux, Burgundy, Rioja, Chasselas, Dolcetto, Zeigelt and countless other grape varieties and types of wine. All these glasses are shaped differently, and the company claims their design is the result of exhaustive research. On the nose, the Riedel theory is that the shape of the glass affects the way the wine smells. In general terms, this is true. But there are billions of people on the planet, and they all have individual and different olfactory equipment. A farmer in Uganda doesn’t perceive Riesling in the same way as a surgeon in Scarsdale, even if they’re drinking out of the same glass. In fact, the guy next door to the Scarsdale surgeon doesn’t perceive it the same way, either. When the wine enters the mouth, the really interesting part of the Riedel belief system starts. They claim that the shape of the glass delivers the wine to a targeted part of the tongue, where it will interact with specific taste buds to create an overall effect. This is nonsense, not to mention hysterically funny. You and I both know that a wine glass can’t direct wine to a certain part of the tongue. Wine is a liquid, and not a viscous one at that; when it gets into the mouth, it will go wherever it wants to go. When you scratch the surface of this claim, it becomes even more preposterous. This part of the company's philosophy is based on the map of the tongue, which you may remember from eighth grade science class. 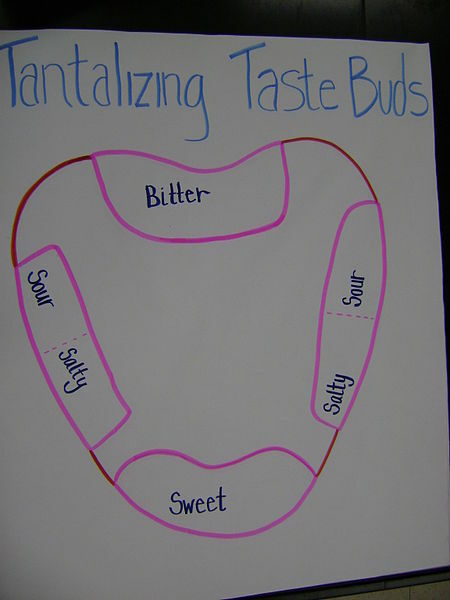 That map identifies specific receptors for flavors such as sweet, sour, bitter and salty, located in general areas. The problem is that there is no map of the tongue. The idea that general regions of the tongue contain a single taste receptor has been scientifically disproved. In fact, leading researchers in the field have discovered that there can be many different taste receptors for the same basic flavor, and that the number of those receptors varies from person to person. The leading scientist investigating the physiology of taste is Linda Bartoshuk, currently a Presidential Endowed Professor of Community Dentistry and Behavioral Science at the University of Florida. Dr. Bartoshuk discovered that individuals in different parts of the world, and within national populations, had wildly varying numbers of taste receptors for basic flavors. This led to the theory of “supertasters,” which explains the why some people are more skilled wine tasters than others. More fundamentally, though, Bartoshuk and many other scientists have proven that receptors for sweet, sour, bitter and salty are located all over the tongue, and that it’s possible to detect those flavors anywhere a substance comes into contact with them. The primary way that Riedel “proves” its theories is not through research, but by conducting elaborate wine tastings around the world. The usual procedure at these events is to compare the smell and taste of wine in different glasses, theirs included. Georg Riedel began these tastings about 20 years ago. His father, Claus (generation #9), had done most of the research on what he called “the physics of wine delivery to the mouth,” but the stemware hadn’t yet become popular with the public. Critics of these tastings maintain that participants are coached by the individual leading the event. People in a wine tasting environment are highly suggestible to begin with, and very susceptible to peer group pressure. My experience is that their suggestibility goes up in inverse proportion to their tasting experience. If you’re a beginner attending a fancy tasting, surrounded by crystal stemware and people who seem knowledgeable and sophisticated, you’re not likely to dispute their findings. Daniel Zwerdling, in a study called “Shattered Myths” which appeared in Gourmet Magazine in 2004, cites a number of studies that have debunked the Riedel claims. The most interesting of these were conducted at the University of Bordeaux in 1998. A neurophysiologist named Frédéric Brochet demonstrated that a panel of wine specialists couldn’t tell white from red by adding some food coloring to the wine. That, however, was only the beginning. Brochet assembled 63 tasters in a room and gave them samples of two wines. The first was a cheap wine that sold for one euro per bottle, while the other was supposedly a famous name that cost over 100 euros. Predictably, almost everyone preferred the more expensive wine. In reality the two wines were identical, and the real cost was around six euros. I have replicated this effect with students in blind tastings. Brochet and I have come to the same conclusions: in social situations, your perception of a wine is heavily influenced by what you’re supposed to think, and it doesn’t hurt when you taste the wine from an expensive crystal glass. Let’s examine the product line. It begins with the basic Ouverture and Vinum series and ascends all the way up to the Sommelier and Sommelier Black Tie stemware. As you go up the scale and the glasses become more expensive, there are more variations. Do you really need dozens or hundreds of different types of glasses? Apparently, only if they cost a lot of money. If you’re buying wine glasses that cost more than $100 per stem, there are countless types you can choose from to improve a specific grape variety or wine style. If you only want to spend fifteen bucks, a generic Riedel white or red wine glass is just fine. We can only speculate as to why the $15 glass is generic and the $100-150 glass is varietally specific, but selling lots of expensive glasses probably figures into the equation somewhere. I do a great deal of tasting at home, and I drink everything out a Burgundy balloon. My experience tells me that this glass has the optimum shape for sensory appreciation: the bowl is large enough to swirl the wine and unlock the aromatics, and it tapers enough near the lip to focus those aromas nicely. I interviewed Maximilian Riedel at length several years ago, and both of us presented our theories to each other as politely as possible. The result was a predictable standoff, and it’s probably fair to say that each privately thought the other was crazy. If you happen to believe everything I say, you may be wondering what’s wrong with all this. There have always been con men and snake oil salesmen among us, as well as people who willingly fall for their scams over and over again. Does it really matter if newly rich people spend thousands of dollars on crystal wine glasses that make them feel more sophisticated and important? Probably not, but the overall effect is to take wine further and further away from the joyful experience it was designed to be. Seated at a granite tasting table located behind etched glass doors and sipping wine from a $150 glass, it’s easy to forget that this is a beverage intended to be plunked down at a dinner table and enjoyed. We’ve come a long way from that: first the wine itself became a trophy, and now the glass we drink from has morphed into an object of desire. How do you feel about Riedel stemware? 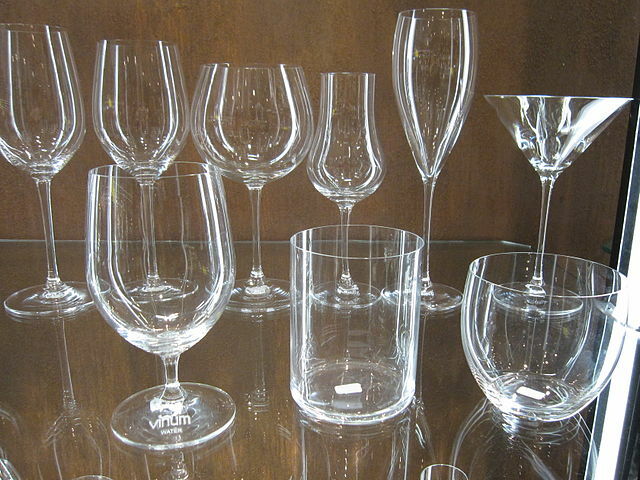 Do you own any Riedel wine glasses? Share your comments and insights with the community!